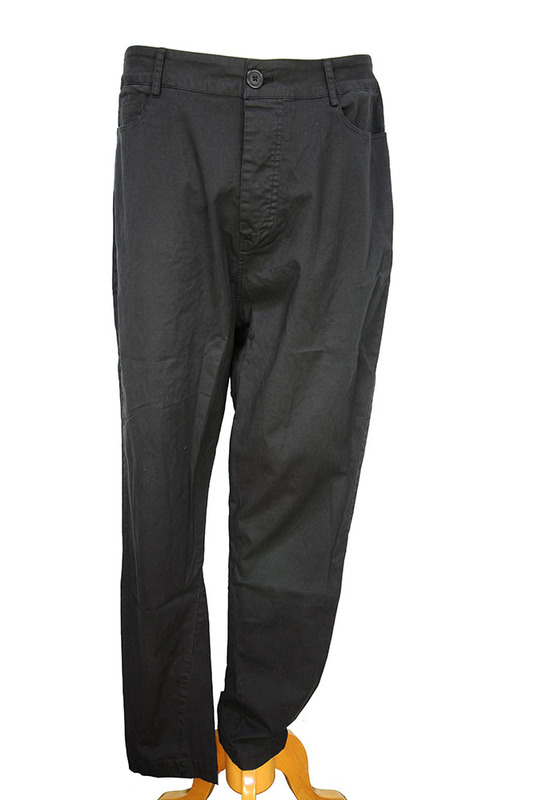 Rundholz Dip Collection overdyed, stretch fabric trousers in black cloud colour. Belt loops and button fly. 2 rounded pockets with with ticket pocket in rightside. 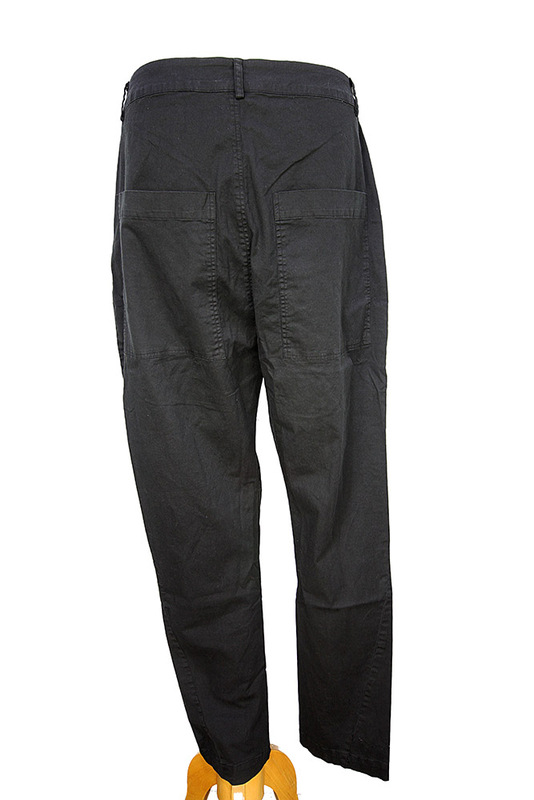 2 large patch pockets at the rear. Tapered leg. Great easy to wear trousers.